A California Little Leaguer is being sued by his coach for allegedly striking and tearing the coach's Achilles tendon as the teen ran toward home plate. Coach Alan Beck claims the 14-year-old player "carelessly" threw off his helmet, hitting the coach's leg and injuring him. He's suing the boy for $500,000 for pain and suffering, along with another $100,000 for lost wages and medical bills, according to UPI. In a lawsuit against a child, can the Little Leaguer be held liable for his coach's injuries? Although it may seem strange to hear of children being sued by adults, it's legally feasible in many states. In general, children under the age of 4 are deemed too young to be liable for their negligent acts. Children between 4 and 14 are presumed unable to be contributorily negligent -- meaning that it's generally assumed that children between those ages aren't prudent enough to be liable for contributing factor to someone's injury. However, if the injured person can prove that a reasonable child of the same age would have understood the danger of his actions in the same situation, then the child could be held liable. In the case of the coach suing the Little Leaguer, the teen is 14, so he could be held liable if another 14-year-old Little Leaguer would've known that tossing his helmet after scoring the winning run could seriously injure someone. However, the Little Leaguer claims that he was just excited after his team's victory and threw off his helmet in celebration, reports UPI. So whether the teen will be held liable may depend on the reasonableness of his behavior and whether or not he intended to hit his coach with the helmet. What Can the Coach Recover? The Little Leaguer's intent may also be key to the coach's potential recovery. If it's proven that the child intentionally hit the coach, the child's parents may be on the hook -- but under California law, parents can only be made to pay up to a certain amount ("up to $25,000," according to the law, though this amount is adjusted for inflation every two years) for intentional torts. But what if it was just an accident? 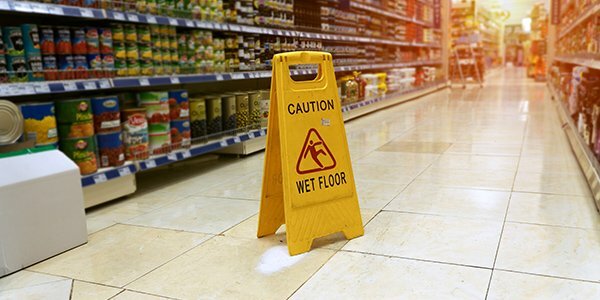 As an experienced personal injury lawyer would likely explain, homeowners' insurance policies sometimes cover personal injury liability stemming from accidents caused by members of your household, even if the accident didn't occur on your property. The Little Leaguer's dad, however, didn't have that kind of insurance, Sacramento's KCRA-TV reports. The parties are scheduled to appear in court in March.